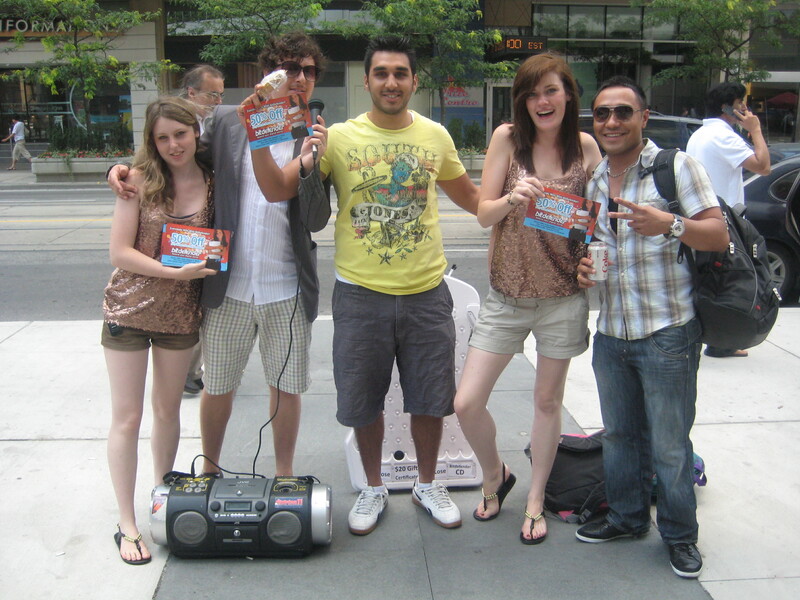 Mango Moose Media is getting the 2011 season started right with a 12 week street team promotion for Goodlife Fitness. 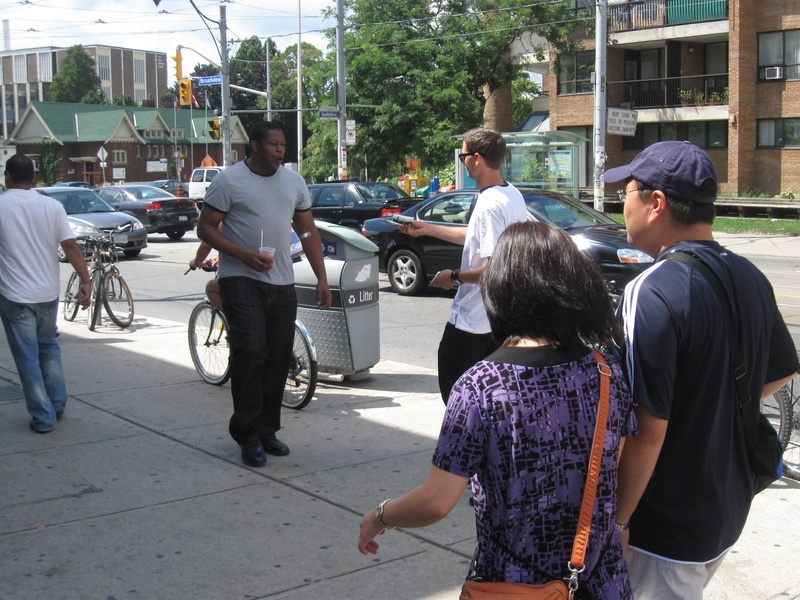 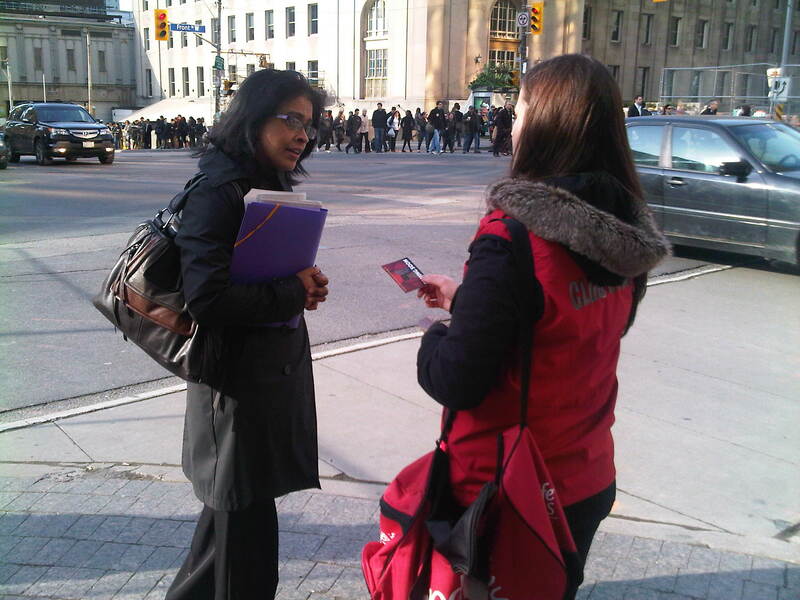 With a new superclub opening at Yonge and Adelaide, promotional reps are creating awareness on the streets of Toronto while soaking in the beautiful weather. 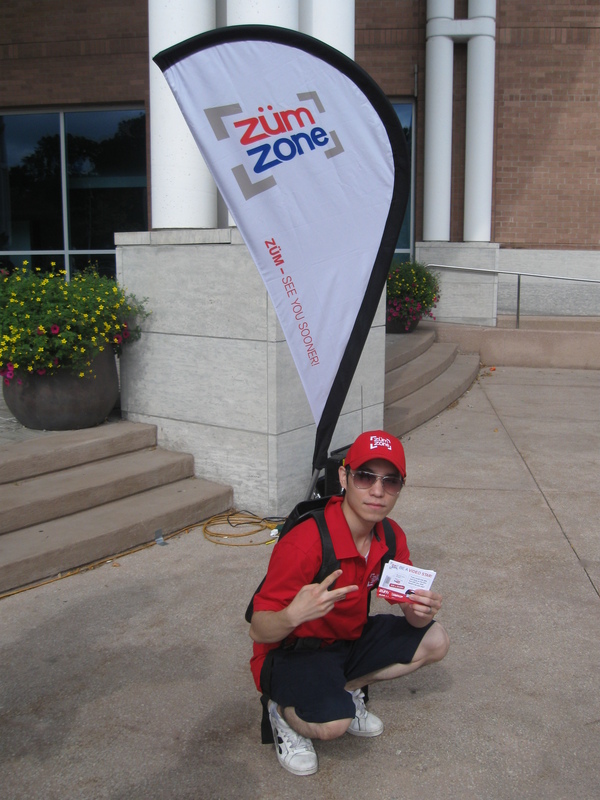 In partnership with H2 Central Marketing and Communications, Mango Moose Media participated in 6 street team promotions from July to September to unveil Brampton Transit’s Zum. 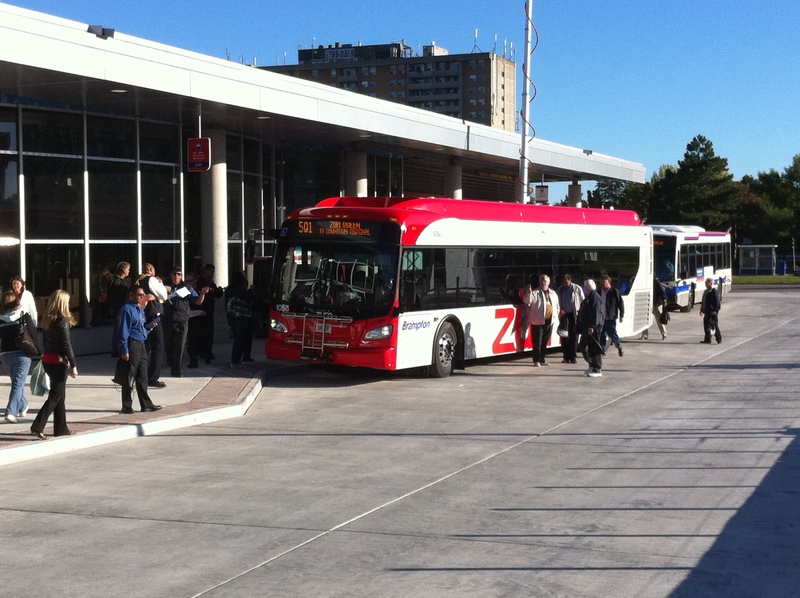 Zum is a Bus Rapid Transit (BRT) system that operates between downtown Brampton and York University. 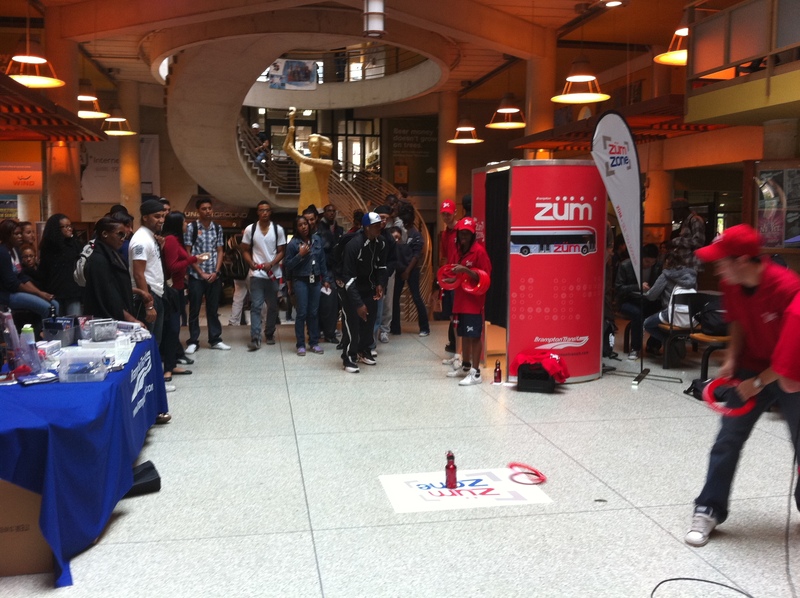 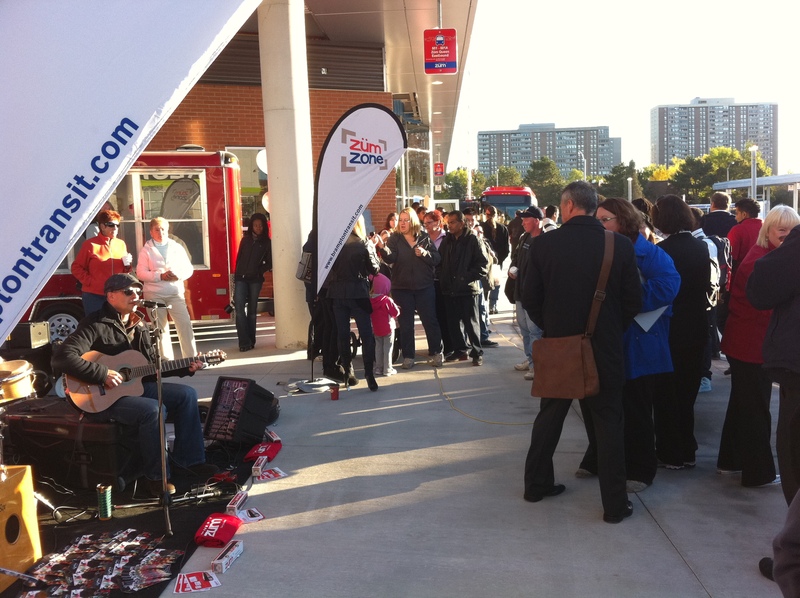 Using various promotional items such as waterbottles, a video booth courtesy of Gabzebo and fun games such as Plinko, our street team reached thousands of Brampton citizens. 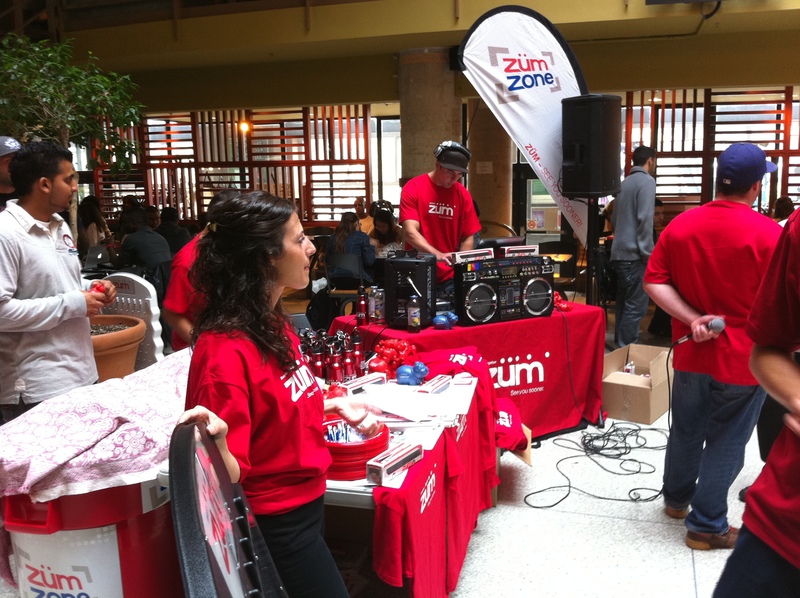 Reps hit the Brampton Farmer’s Market, York University and the new Bramalea Bus Terminal to spread the word that Zum is the newest, most efficient bus system in all of Southern Ontario. 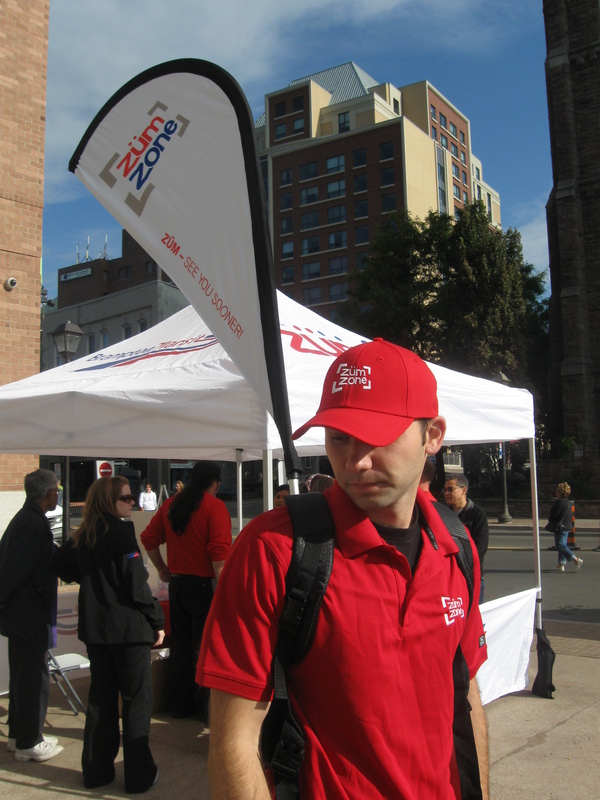 Wearable Banners are a spectacular new way to make your advertising mobile and get your brand noticed. 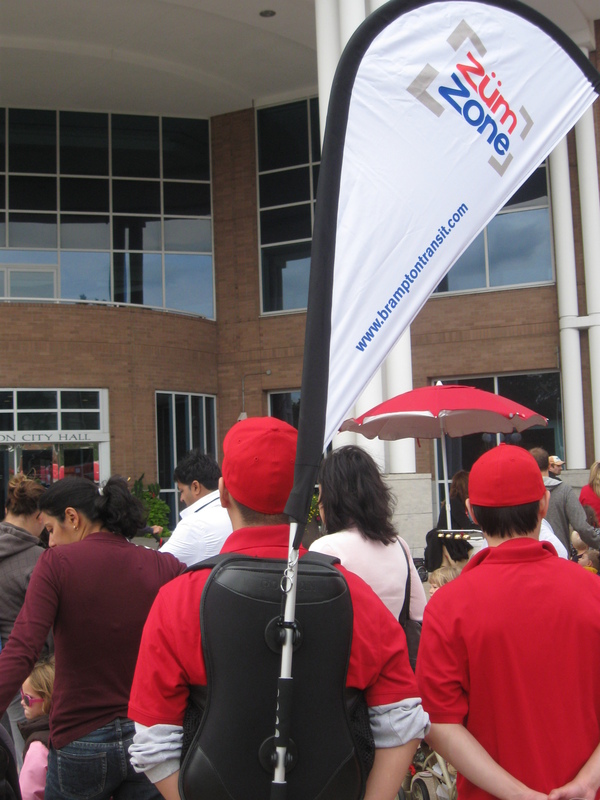 Wearable Banners are composed of a lightweight backpack combined with an inside pocket for storage. 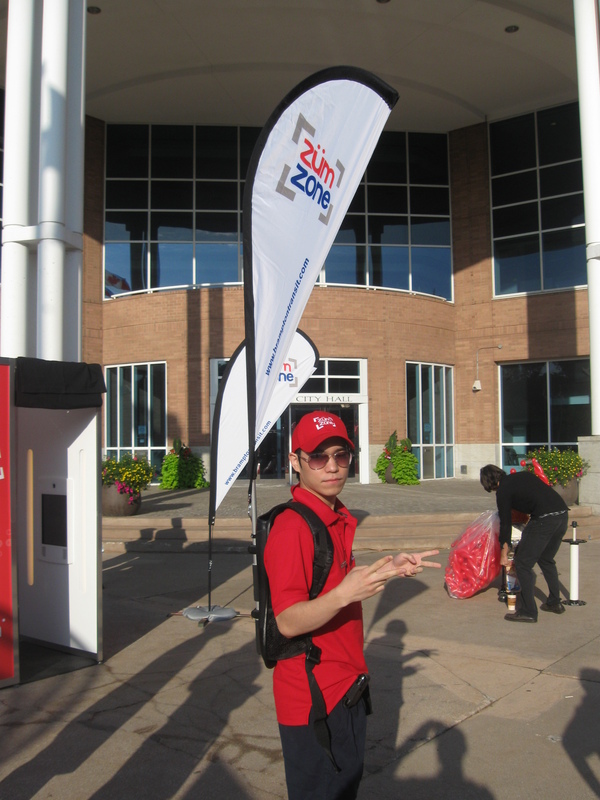 The banner is easy to set up and take down with its retractable poles. 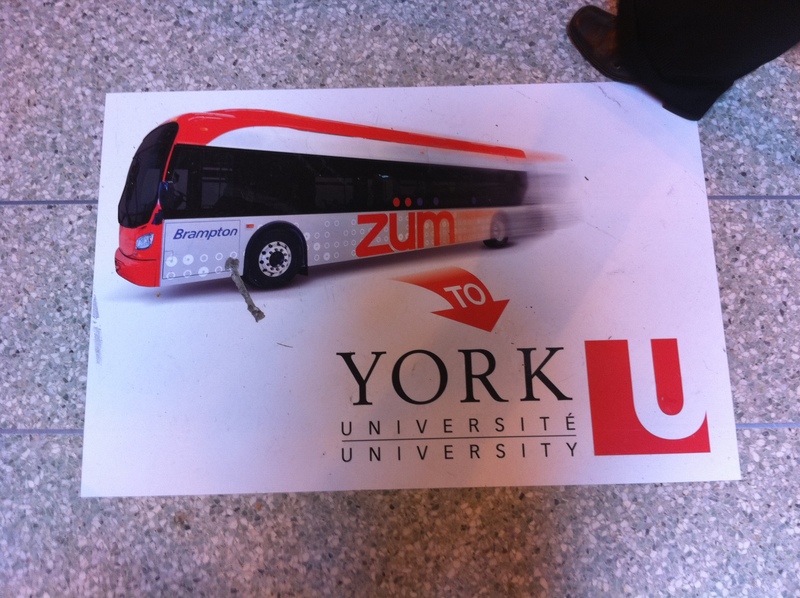 These banners are perfect for promotional events. 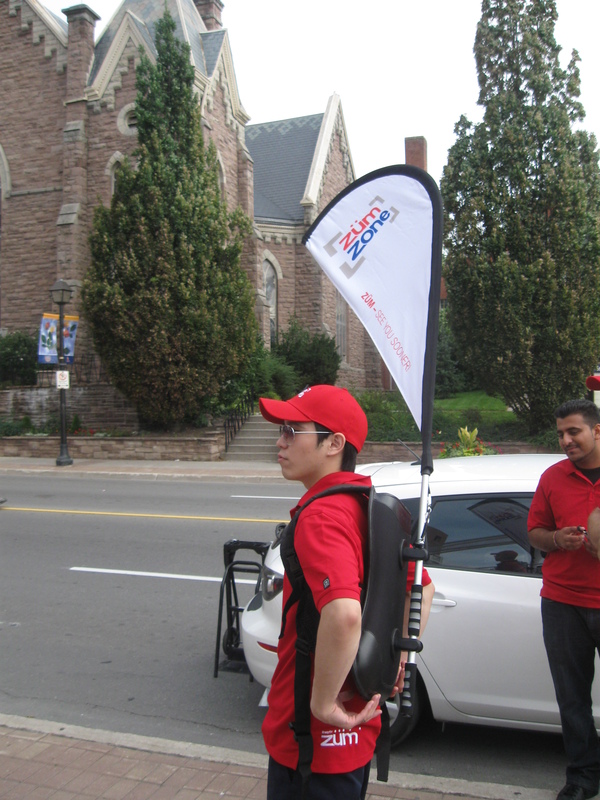 Because the banner is attached to the backpack, it allows the wearer’s hands to be free to pass out brochures, coupons, or other promotional products. 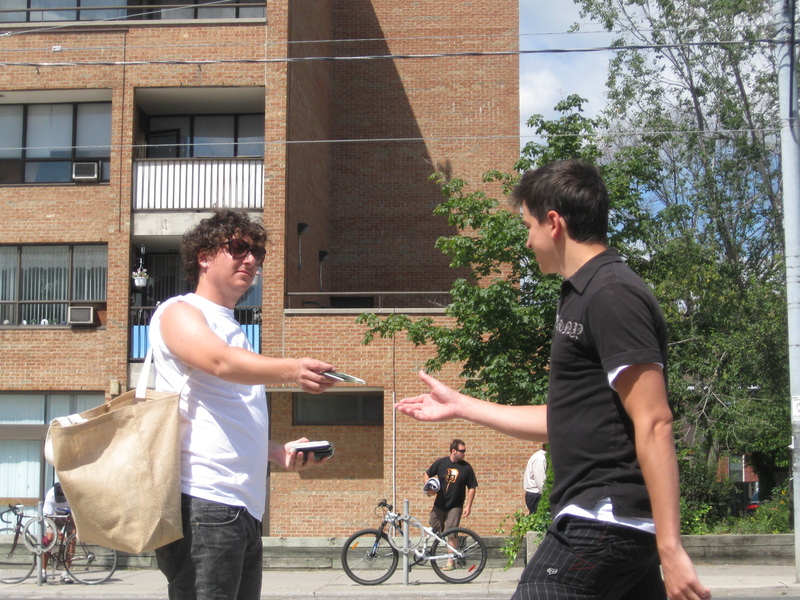 Check out the photos below and enjoy the freedom and effectiveness of mobile advertising. 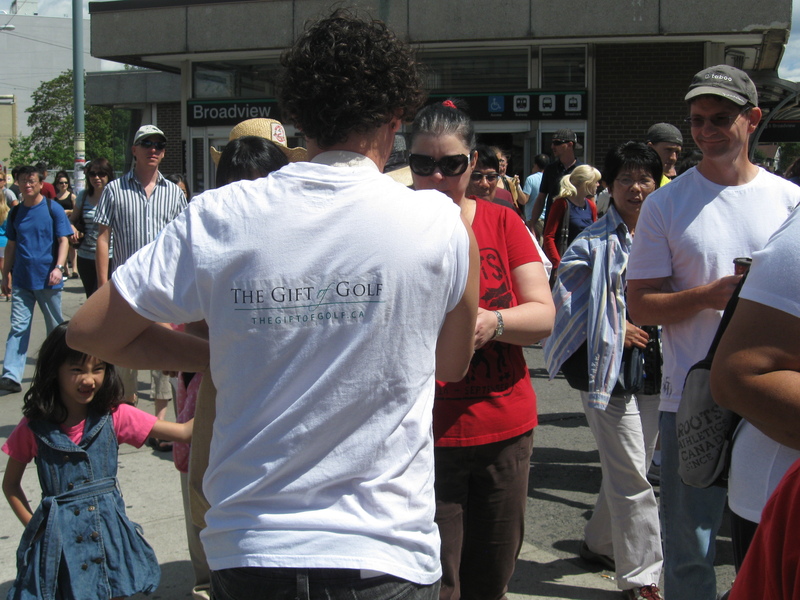 Comments Off on New Product: Wearable Banners! 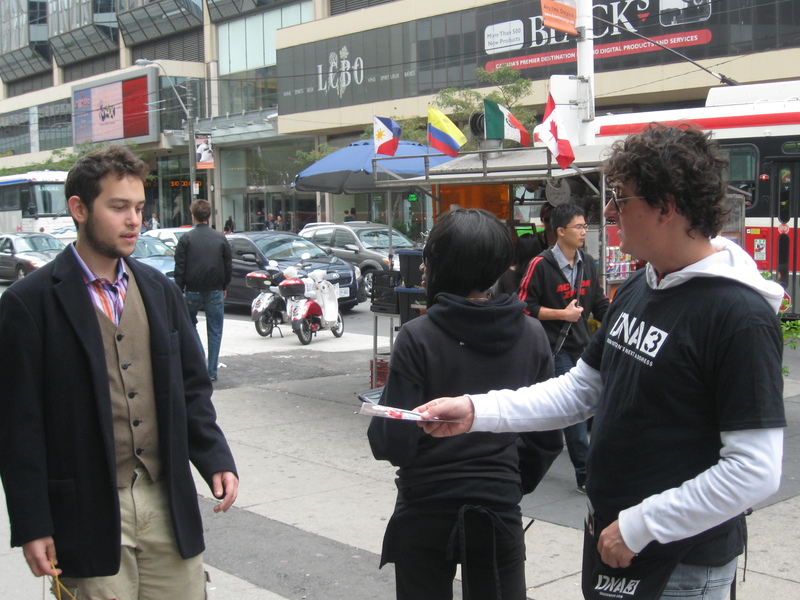 Our Mango Moose promo reps hit the streets of Toronto during the Toronto International Film Festival to promote DNA Condos’ third phase, located at King St. and Shaw St.
Reps were armed with lollipops, pamphlets and iPads to sign people up for more information about the condos. 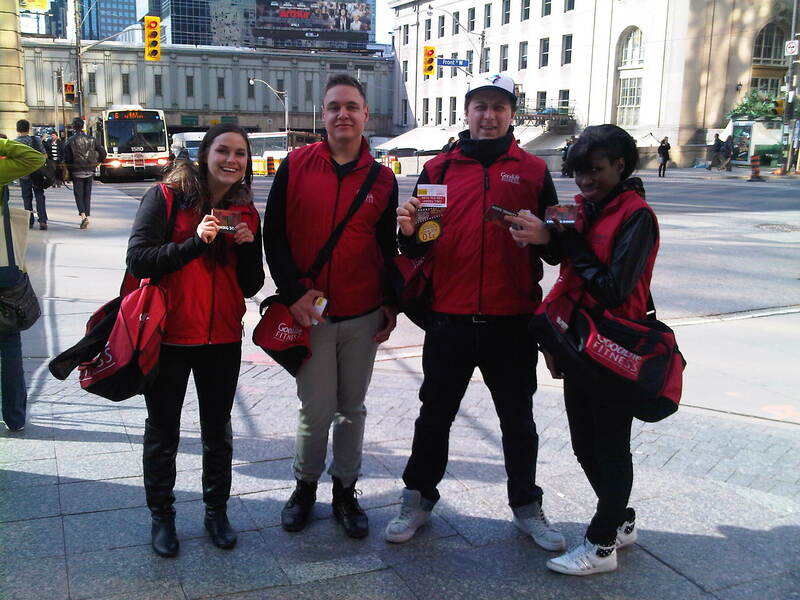 The glitz and glamour of TIFF provided a perfect backdrop for our reps and the promotion turned out to be a success from top to bottom. 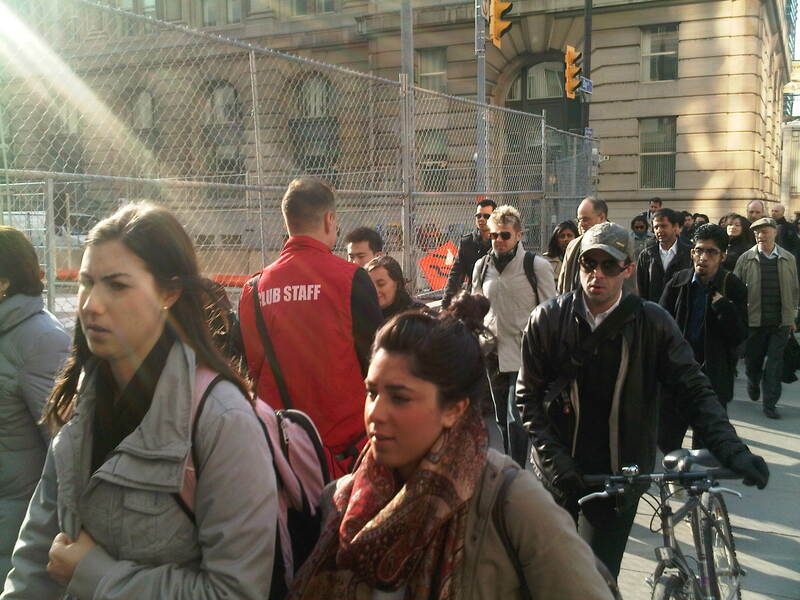 Comments Off on DNA Condos Hits TIFF! 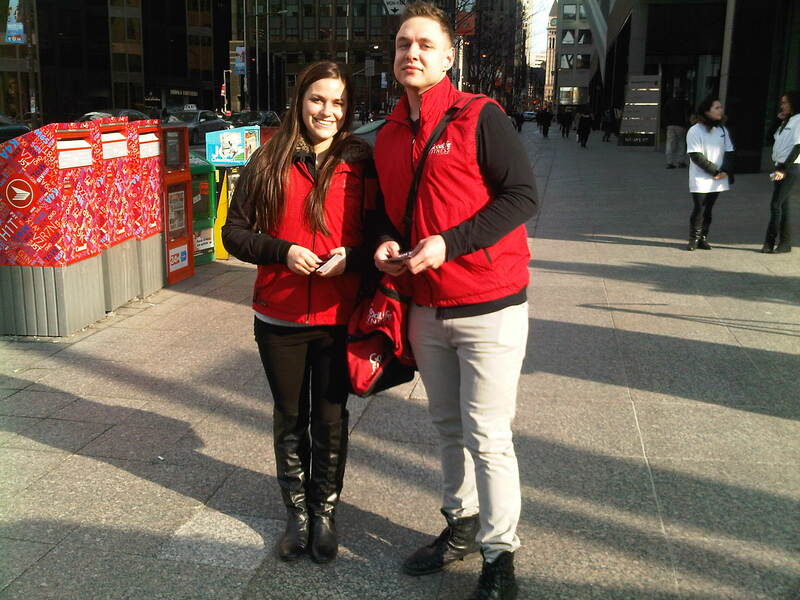 For two weeks, BitDefender reps hit the busy city of Toronto to promote their award winning anti-virus software. 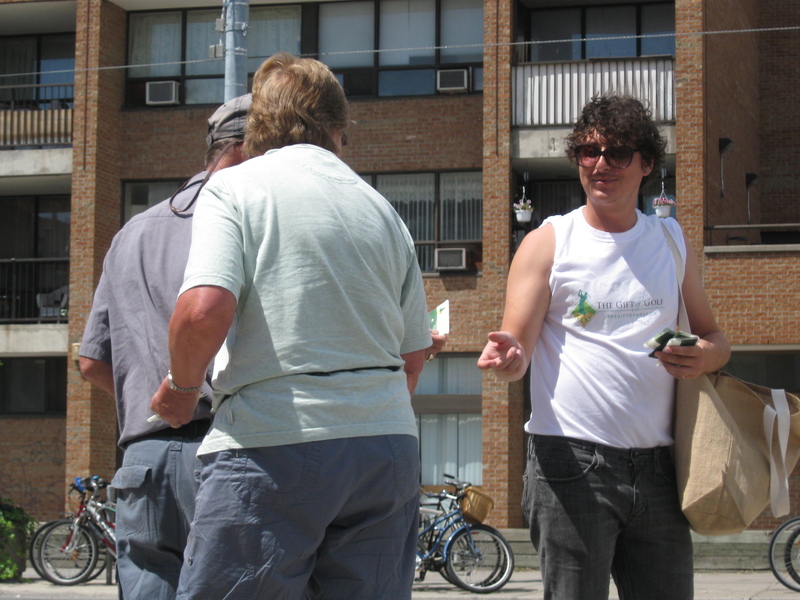 Two street teams, one dressed in 1980s Run DMC costumes, and the other decked out in Price is Right outfits, played Three Card Monte and Plinko with excited contestants for prizes. 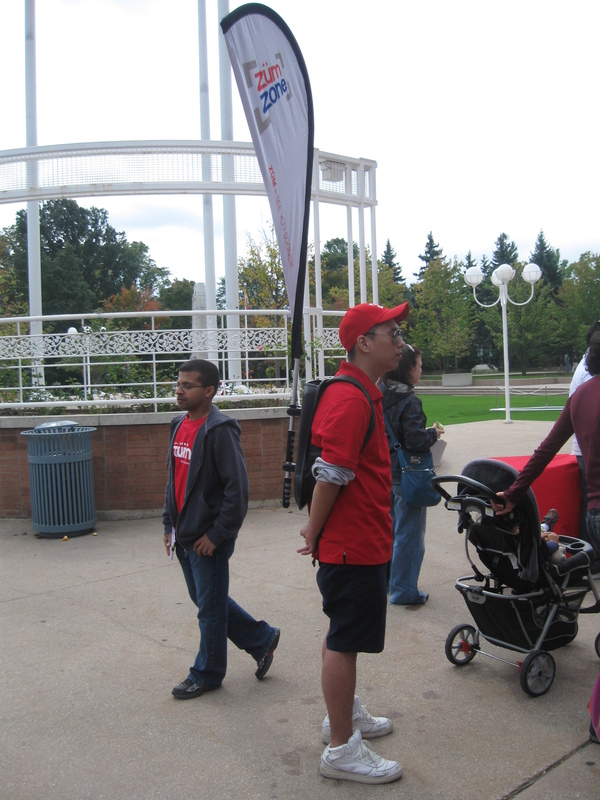 Winners were given free BitDefender antivirus software CDs and gift certificates from Future Shop, Best Buy and Staples.